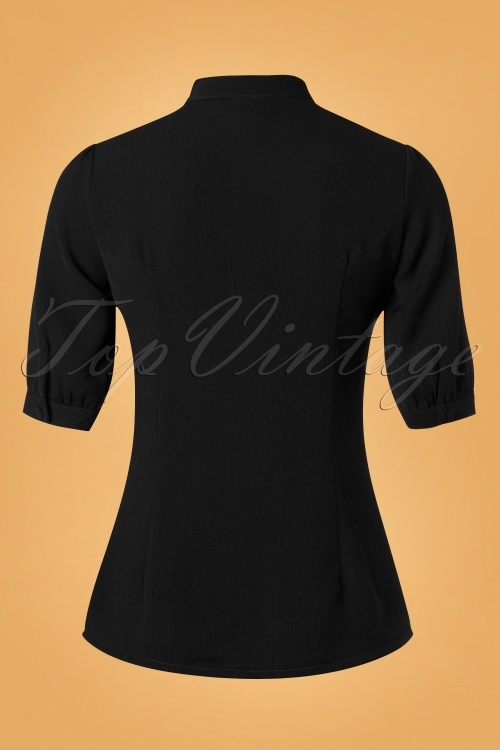 This 40s Katherine Blouse in Black is a real 40s classic! 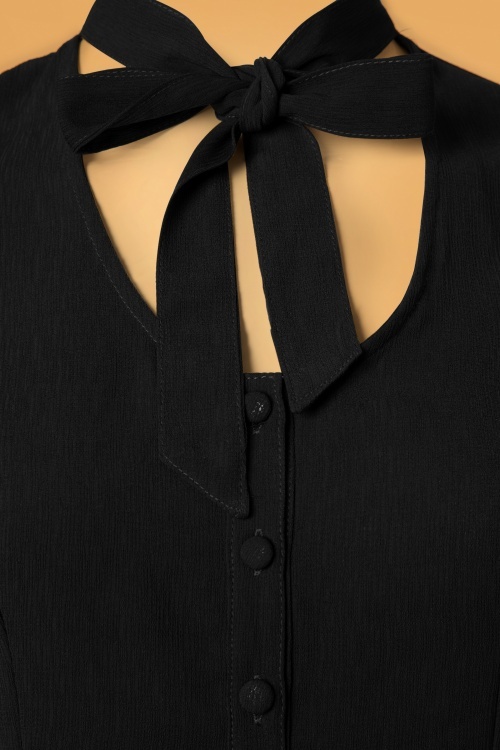 This beauty features elegant 1/2 puffed sleeves with a button closure on the small cuffs a row of buttons on the front and a round neckline finished off with a gorgeous, striking neck tie! Made of a supple, black crêpe-like fabric (doesn't stretch) that is a joy to wear. Pair with a pencil skirt or high waist trousers with wide legs for a classy forties look! Heel fijn topje. Zoals bij de informatie over de pasvorm staat, bij twijfel kun je beter een maatje groter doen. Ik ben er heel blij mee, hij staat leuk, ik vind 'm heel classy door de eenvoud. Fijn stofje met schattige knoopjes. The green fits different from the black. I don't know why, but the black is smaller than the green one. But I love it. Dear Serena, I'm sorry to hear the black blouse fits differently! I will e-mail you today still so we can compare both size charts together! Die Bluse ist süß und passt eigentlich zu allem. Habe Größe S bestellt - leider ist sie mir ein klein bisschen zu groß. Trage die Bluse trotzdem gern.